THE UNDEAD… Zombies… Werewolves… Mystical Vampires… Recent shifts in darksided “Gothic” subculture proves how dynamic the Underworld really is in keeping relevant with the times — and how successful we have been at pushing it up from the underground. CHILDREN OF THE NIGHT are bonded together through a chain of books, films and music. Having no system of authority in place — no elitist societies to destroy the individualism of the path — the Darksider lifestyle remains one of true freedom, connected to spreading futurist music, magic and mayhem of the CyberVamps. CyberVamps CyberGoths are available for special events. 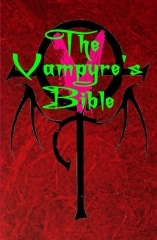 FREE news and offers on CyberVamps books, special events and unique accessories by visiting the Coven of Lilith.